Christianity is a monotheistic religion based on the life and teachings of Jesus of Nazareth as presented in the New Testament. 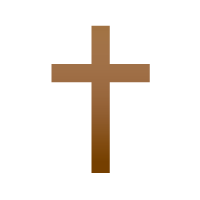 The cross symbol, which is today one of the most widely recognised religious symbols in the world is the earliest used Christian symbol. In the most broad sense it symbolizes the religion of Christian. More specifically, it represents and memorializes Christ's death. 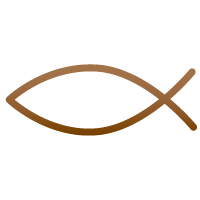 The fish first known use as a Christian religious symbol was sometime within the first three centuries AD. Christians began using the Greek word for "fish" as an anagram/acronym for "Jesus Christ God's Son, Savior."